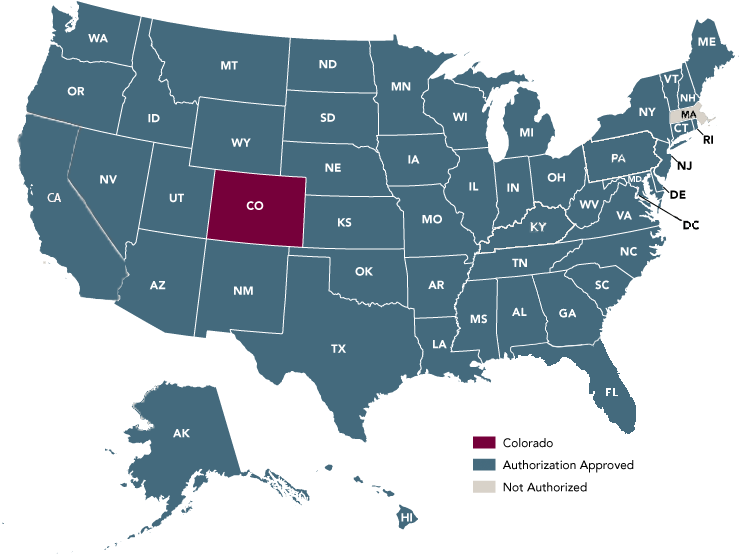 State Authorization | Colorado Mesa Univ. Please Note: Authorization and licensure approvals may vary by state. View RN to BSN Authorizations. For other programs, please contact your academic department to determine if there are any restrictions. State Authorization refers to: (1) the regulation of distance education courses and programs offered to residents of a particular state by an institution based in another state, and (2) various non-distance activities within a particular state by institutions outside of that state. Prospective online students residing in some states may be ineligible to apply for our programs if we are not authorized to operate in their state. Students participating in internships and practica in another state may also face restrictions. To determine if you can conduct internships or field experiences in your state, contact Timothy Pinnow, Sr. Vice President for Strategic Initiatives, and Director of Distance Education and Graduate Studies at tpinnow@coloradomesa.edu. Many states require additional authorization paperwork or fees for distance programs that market directly to students in their state. Be sure to check with Timothy Pinnow at tpinnow@coloradomesa.edu before directly marketing a distance program to out of state students. In some states where we are not authorized to operate, the state does not allow CMU to have any employees that live in their state to teach, proctor, or tutor on behalf of the University. CMU strives to provide the highest quality educational opportunities available. However, if a conflict does arise, our efforts are meant to resolve your grievances, complaints, and concerns in an expeditious, fair, and amicable manner. Students wishing to file a formal complaint must first seek resolution using CMU's Student Complaint Policy. If an issue cannot be resolved by CMU's internal processes, you may choose to file a complaint with your state of residence. View the complaint contact for each state.